A few things have happened since Visual Kei band, the GazettE, joined major record label Sony Music in 2010. They played their first Tokyo Dome gig– a dream for just about every Japanese musician— and rocked out at a few big name music festivals in Japan, like Summer Sonic Festival with a line up that included the likes of X-Japan, American Rock bands, Red Hot Chili Peppers, and Korn, just to name a few….joining the big leagues now! Clearly, they had gained a lot of exposure over the years, but their music gradually lost a bit of the creative luster in structure and composition found in their earlier works. Prior to their fifth album TOXIC, each song had something different to offer. It was progressive Visual Kei at best, notably in the first three albums and a few beautifully composed ballads from fourth album, DIM. Now, they have released their sixth album, DIVISION. Musically, this album picks up where the third album, STACKED RUBBISH, and DIM, left off. The band has also expanded on the digital elements they used in the past. The band has literally divided DIVISION into two discs for the Limited Edition version. This is how they intend this album to be listened to. DIVISION‘s two different sides reveal two different feels. The first CD is passive and sullen– it is the GazettE, the observer. The second CD is aggressive and vocal– it is the GazettE, the participant. Even if you don’t speak a lick of Japanese, the dark undertones of all songs can be felt as well as what kind of story is being told on each side through the music. Disc one is melodious and layered with more interesting compositions, which was missing in TOXIC. With each prior album, the band never failed to have at least one beautiful, tear jerking ballad. On DIVISION, courtesy of guitarist, Uruha, “Kagefumi” contains heartfelt vocals, long yearning guitar solos, supported by passionate drumming. The track after “YOIN” has the same desires as “Kagefumi”, but with a slow, seductive, and haunting vibe, reminiscent of tracks found in DIM. “Kago no Sanagi” has a mainstream rock vibe that showcases composer Kai’s powerful and intricate drumming skills. The short 30 second acoustic guitar bit is a treat for the listeners, and gives a short break for the drummer. “Hedoro” features a slightly surf-sounding guitar. “Ibitsu’s” bouncy rhythm is attributed to Reita’s bass playing. This disc also has the best instrumental of the four on this album, “DIPLOSOMIA”. It starts off with a slow, pulsating electronic beat segueing into multiple layers that have you anticipating their next move, or in this case, disc two. The second disc is a required prerequisite before attending a wild the GazettE live. With tracks like “ATTITUDE” and “GABRIEL ON THE GALLOWS”, it is packed with songs that get you pumped up and ready to head bang all concert long. As much punch as this disc contains, it almost has as much digital elements, which takes away from the songs at times. For example, the electronic beats on “DERANGEMENT” sound as if R2D2 was a special guest on the song, which overshadows the band. Ruki’s voice is overly auto-tuned in “REQUIRED MALFUNCTION”, perhaps done to hide the accent in his English, however, it is distracting at times when the auto-tune sounds as if it gets turned up a couple of notches. Luckily, heavy use of electronic beats aside, Kai’s attack on the drums and the high energy in each song makes the disc worth listening to. It also has the best song on the album, which is actually a slower paced track on this disc “DRIPPING INSANITY”, written by vocalist Ruki. On this song, the digital beats are less noticeable, Ruki’s singing and shouting is not auto-tuned, and it features the best dual guitar solos from Uruha and Aoi on this album. 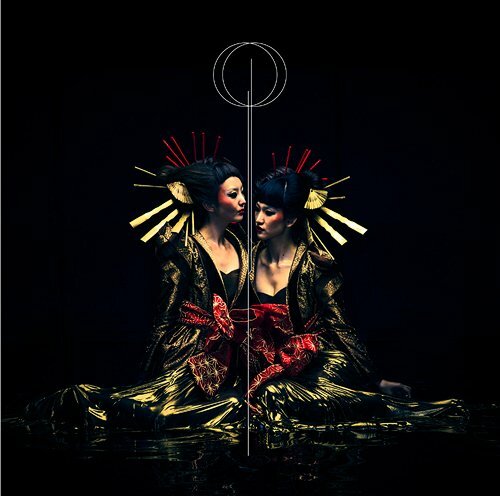 DIVISION has tinges of guitar, bass, and drum work found in the bands older material, now laced with a modern, mainstream sound and improved vocals from Ruki. The bands approach to splitting the material into two halves show that they had an actual concept this time around. There are songs on here that seemed like leftovers from TOXIC, however, overall, DIVISION is stronger.